Disney has been planning its new streaming service for years to take on Netflix in the online streaming wars and now the entertainment giant has revealed it has an official launch date in the US: November 12, 2019. The house of Mickey has been teasing us with details of its new streaming platform, called Disney+, for some time now. But only now have we been given some solid details about the kind of content that'll be available, as well as how much it'll cost you to have a library of Star Wars and The Simpsons on tap. We don't know everything about Disney+, the UK launch date is still a mystery, but we do know it'll be a Netflix-style video platform, which will host a huge number of Disney-owned and Disney-produced films and shows – including titles from Pixar, Marvel, Star Wars. We also now know that Disney+ is coming to Nintendo Switch. The handheld console's streaming apps have been limited in the UK that is restricted to just YouTube, while those in the US have access to Hulu too. It's also likely to come to Apple TV according to Disney CEO Bob Iger, in spite of speculation that it would come into conflict with Apple's new streaming service, Apple TV Plus. While Disney has made a pretty penny from licensing out its movies and shows to the likes of Netflix – an agreement shortly coming to an end – it makes a lot of financial sense to bring its IP together and reduce reliance on rival platforms. Read on for all the latest news on Disney+ pricing, subscriptions, and what movies and shows will be available on the service when it launches later this year. 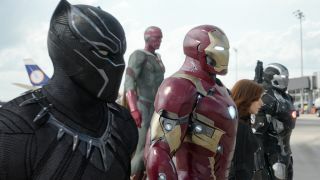 Disney+ will be an all-in-one Disney, Pixar, Marvel, and Star Wars video destination, packing plenty of existing movies and TV shows along with a stack of brand-new content. Disney has been working on the plan for some time now, acquiring a controlling stake in streaming technology provider BAMTech in 2017 following a first investment the previous year. BAMTech spun out from Major League Baseball's streaming efforts and now powers platforms like HBO Now and ESPN+, so it knows a little something about on-demand video traffic. Obviously, Disney has a massive heap of content in its archives: loads of movies, TV series, and cartoons spread across the Disney, Pixar, Star Wars, and Marvel brands. With Disney's acquisition of Fox now complete, we could also be seeing a host of other franchises – like X-Men or Avatar – come along to the service. Could Apple's streaming service beat Disney to the punch? Disney makes serious money (an estimated $300 million) putting its films and properties on Netflix and other services, but if Disney+ is attractive enough to pull in millions of paying subscribers, then it could yield potentially much more income. And it gives Disney a new, exclusive platform for developing new content, whether it's with existing brands or original properties. The service will launch in the US on November 12, 2019 with an expected (but not yet officially confirmed) UK launch date around the same time or a few months afterwards. This still gives Disney plenty of time to court creators and develop and produce new shows – or at least get the ball rolling. If you're in Australia, it looks like you'll be getting Disney movies and shows on Stan for the time being. Disney+ plans to have four to five exclusive TV shows and four to five original movies ready for the late 2019 launch, which means there will be a large amount of fresh content available on day one – including every Disney film ever made. One of most exciting original announcement so far is that of a brand new live-action Star Wars TV series from Jon Favreau (Iron Man, The Jungle Book) who will both write and executive produce the show. We've been waiting for details about it for what feels like years, but the title has finally been revealed as The Mandalorian. For those not in the know, Mandalorians are a race (or is it species?) who live on the planet Mandalore and they're jetpack-toting warriors with a lot of political baggage. Now unless you've watched Star Wars Rebels, the only Mandalorian you're likely to have met before is Boba Fett. But the new series will introduce us to a Mandalorian we've never met before and will follow his (or hers?) adventures throughout the Star Wars universe. Favreau will also be joined by other great directors, including Star Wars alum Dave Filoni, who’ll direct the first episode, as well as Bryce Dallas Howard, Taika Waititi (Thor: Ragnarok) and Deborad Chow (Jessica Jones). It's not the only new Star Wars episodic content that'll be on the service early on, either. Rogue One's Cassian Andor (played by Diego Luna) will also get his own prequel TV series exploring his life before the events of the 2016 film. At San Diego Comic-Con 2018, Disney announced that a new, concluding season of animated series Star Wars: The Clone Wars will also be on the service. We have to imagine that the existing episodes, currently on Netflix, will also join the fray. We'll also get an original Marvel series, separate from the myriad shows already on Netflix and other platforms/channels. There's been rumblings about which Marvel characters might be getting their own shows for some time now, but in April 2019, Disney officially confirmed the characters that'll live on at Disney+ – and therefore might have survived Thanos' snap? Hiddleston-lovers will be happy to hear the first in the new Marvel line-up will be all about Loki, another will follow the story of Scarlet Witch (Elizabeth Olsen) and Vision (Paul Bettany), and another will feature the Falcon (Anthony Mackie). There's also been rumblings of a Hawkeye series starring Jeremy Renner, but that's yet to be confirmed. Interestingly, there's also going to be a Marvel TV show that puts a different spin on the MCU. Called Marvel's What If...?, the animated series is based on a comics series and will give fans a glimpse into what might have happened if some of the universe's biggest stories went a little differently. Like how would Agent Peggy Carter have fared if she'd taken the super soldier serum instead of Steve Rogers? When it comes to old Marvel movie properties, we can expect those to be pulled from Netflix as soon as contracts run out before being moved across to Disney+ when it launches. In an earnings call with investors, Disney CEO Bob Iger clarified that 2019's Captain Marvel would be the first Disney movie exclusive to the service. Disney+ has named the latest title coming to the incoming streaming service, and it's set to make a splash – with a marine documentary narrated by Oscar-winning actress Natalie Portman. The production studio Disney Nature was set up in 2008, in response to the worldwide success of Antartica-based documentary March of the Penguins. Disney Nature works both in documentary films and animation, and will also be bringing animated feature Penguins to the Disney+ service. Many additional new shows and TV series have been rumored or reported on, including a new Monsters Inc. project and a fresh take on the once-popular High School Musical franchise. Deadline suggests that projects based on Lady and the Tramp, Don Quixote, Sword and the Stone, and 3 Men and a Baby are in the works, along with other projects titled The Paper Magician, Stargirl, Togo, and Timmy Failure. Deadline also suggests that two films for the service were already in post-production as of February 2018: Magic Camp from director Mark Waters (starring Adam DeVine and Jeffrey Tambor), and Christmas-themed comedy Noelle from Marc Lawrence (featuring Anna Kendrick and Bill Hader). That's not to mention the back-catalogue. One of the biggest announcements is that Disney+ will also be the official home of every episode of The Simpsons, which is another property Disney acquired when it bought 20th Century Fox. Little's been said on older content, though we assume there'll be a good share of remastered classics and selected titles from Disney's extensive 95-year history. There'll also be plenty of television programming from the Disney Channel, Disney Junior and Disney XD. All told, you can expect "thousands of hours" of Disney TV shows and films on the service, including existing content, and that new Disney, Marvel, and Star Wars films will be available to stream at some point following their theatrical releases. Right now, Disney has only released details about US pricing, where the streaming service will cost $6.99 a month. We'll update you as soon as news lands about pricing in other regions. This means it looks like Disney has kept its promise about undercutting Netflix – at least for now. "I can say that our plan on the Disney side is to price this substantially below where Netflix is. That is in part reflective of the fact that it will have substantially less volume," said Robert Iger, The Walt Disney Company's chairman and CEO. "It'll have a lot of high quality [content], because of the brands and the franchises that will be on it that we've talked about. But it'll simply launch with less volume, and the price will reflect that." Iger also suggested that the price could rise gradually over time as the service expands, which is hardly surprising—Netflix's prices have risen alongside its pivot towards original content. If you're in the UK, journalist Tom Butler pointed out on Twitter that you can already get some of the content that's planned for Disney+ on the Disney Life app for £5. But that doesn't include some of the biggest draws of the new streaming platform, like Marvel and Star Wars properties – although it does currently have past seasons of The Clone Wars. What will Disney+ be missing? The Disney streaming service won't have content from outside of the Disney ecosystem, as far as we know. That might seem obvious enough, but services like Netflix and Hulu have such diverse offerings because of their wide partnerships and licensing deals. But, of course, Disney has plenty of content to draw from, especially if all Fox content comes onboard as well, but this will still be a very Disney-centric offering. On top of that, there won't be any R-rated or adult-oriented content on the service. That stuff will go to Hulu instead, according to a report from Deadline. Though Disney has now closed its acquisition of Fox, it's unlikely then that the R-rated Deadpool will come to Disney+. Also, the Marvel TV original series on Netflix won't be crossing over to the new Disney+ service – as far as we know. That means the likes of Daredevil, Luke Cage, and Jessica Jones won't be rebooted on Disney+ in their current iterations. They've all been cancelled from further seasons, but we're assuming previous seasons will continue to stay on the Netflix platform. That's not to say Hulu might not pick up these series and run with them, or maybe they'll get a more family-friendly re-imagining for Disney+? Should I subscribe to Disney's streaming service? We haven't tried the platform ourselves yet, so even though more information is revealed every day, it's hard to make a solid recommendation. But now details have been revealed about pricing, the early signs are certainly promising. Disney plans to tap into its estimable vault of franchises to create exclusive and potentially compelling new content, along with creating a single streaming service for watching all of the latest and greatest movies and TV shows from across the Disney creative ecosystem. It'll have less content than Netflix, but the price is lower – and Disney+ may prove more appealing as an add-on to your current subscriptions, rather than a full-on replacement for Netflix or Hulu. The Disney streaming service won't be as comprehensive or wide-ranging as some rivals, but Disney, Star Wars, and Marvel fans might have trouble resisting some of the original shows and movies coming down the pipeline. We're certainly excited to see what Disney+ has in mind for the live-action Star Wars series, above all, but other projects sound compelling as well.